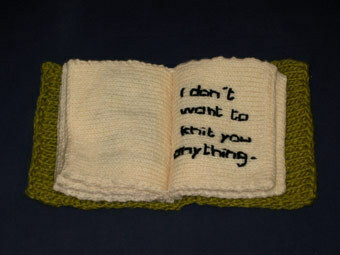 The inaugural Sheffield International Artist’s Book Prize exhibition staged at Bank Street Arts in November 2008 attracted nearly 50 entries. 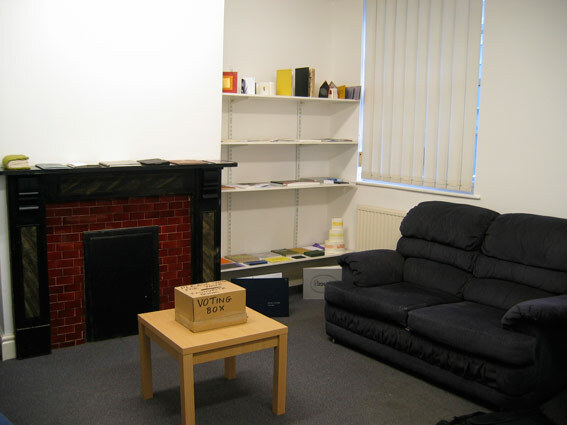 One of the galleries at Bank Street was filled with armchairs and sofas; the books themselves were placed on shelves around the room. Visitors to the exhibition were given a voting form and asked to choose their favourite book(s). At this stage both the event and BSA itself were at a very formative stage. We knew we wanted to be involved in artist’s books as they were a hybrid format and reflected the aspirations of the arts centre. Other preconditions of entry also pointed the way to future development. The Prize was free to enter and open to anyone. Books were to be handled with the winner decided by visitors. The Prize was more about finding a way to display artist’s books than anything else – something we built upon and became a mainstay of the organisation over the years to follow. 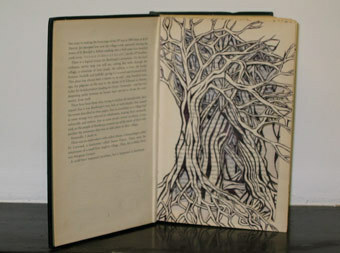 Second was ‘The Book of Trees’ by Emma Parker. 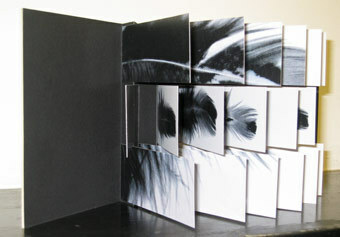 and third was ‘Wings’ by Jenny Hughes.